Share Facebook price offers instantly! Reach more Facebook buyers fast. MPOP® merchandised offers are posted to your dealership Facebook page fast. Facebook posts are formatted to increase clicks using full-size images and relevant content from your vehicle offers. Personalized Facebook posts attract car buyers. 78% of automotive shoppers find social media helpful when making new vehicle buying decisions. Consistently posting good social media content is hard. 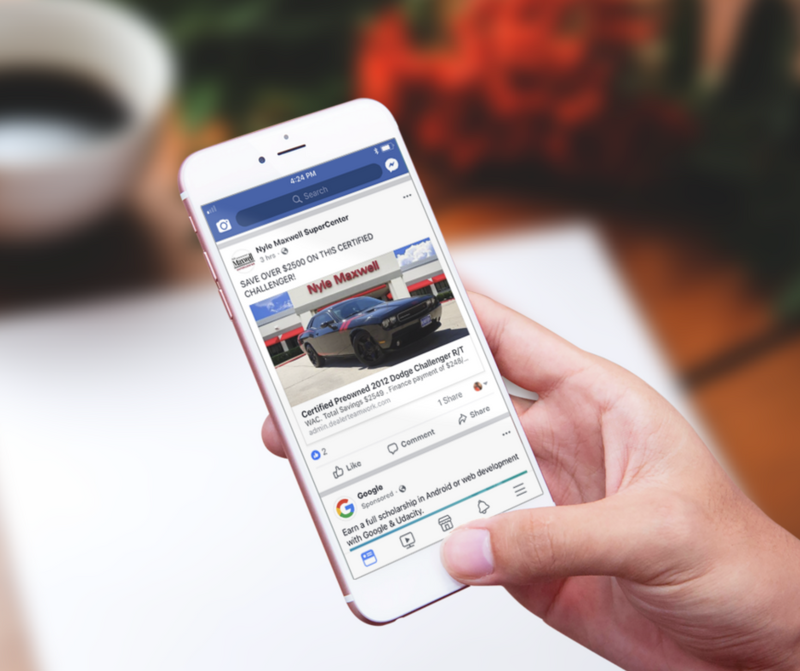 The MPOP® makes it easy to post current offers on your dealership’s Facebook page.